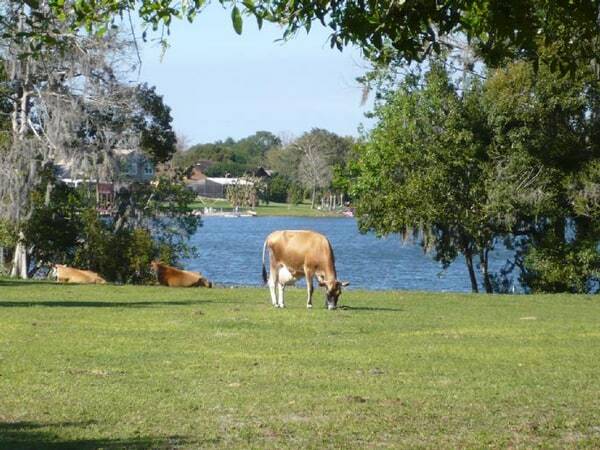 Just a few miles from our home, in the heart of the hustle and bustle of the Orlando metro is a haven for beautiful Jersey dairy cows like the one above. The reside at Winter Park Dairy, a lakeside almost spa type dairy farm. 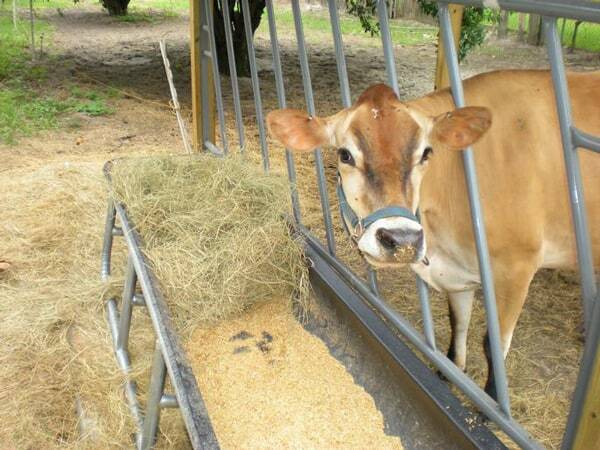 Winter Park Dairy has the happiest cows that produce the most amazing (and Florida’s only) raw artisanal cheese. The Winter Park Dairy is a local family owned business. The beautiful land that is used for the dairy surrounds spring-fed Lake Florence. It has been in the Green family for four generations. The land was originally used to grow oranges, tangerines and grapefruit, until terrible freezes in the early 80’s severely damaged the fruit trees. In 2001, David Green and Dawn Taylor-Green started Winter Park Farm to raise Angus cattle. Not long after they realized their true passion was dairy farming, not beef. They discovered the joy that comes in dairy farming when they could work in harmony with the animals. 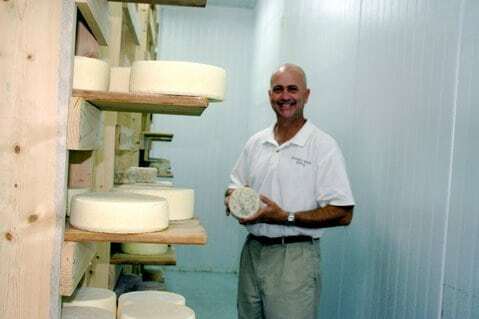 David and his wife Dawn have taken a cheese-making course at the University of Vermont and toured dairies in New England, studying how to incorporate their practices into a small family farm. The Green family makes 4 different types of cheeses. They started with and specialize in a mild blue cheese called Bleu Sunshine. It’s a raw milk artisan cheese with a mild nutty taste and creamy texture. They also make a Florida Tomme which is an alpine style semi-hard cheese with a robust Parmesan flavor. Black and Bleu is a blue vein cheese with cracked roasted peppercorn. Omega 3 Bleu Chia is the original Bleu Sunshine cheese infused with antioxidant laden organic Central American Chia Seed. On any given Saturday you can find David at the Winter Park Farmer’s Market. If you would like to mail order some of his exceptional cheeses, you can do so through his website here. When I heard about Intuit’s Love a Local Business campaign through BlogFrog, I immediately knew who I wanted to nominate. Winter Park Dairy does such an outstanding job in their cheesemaking. 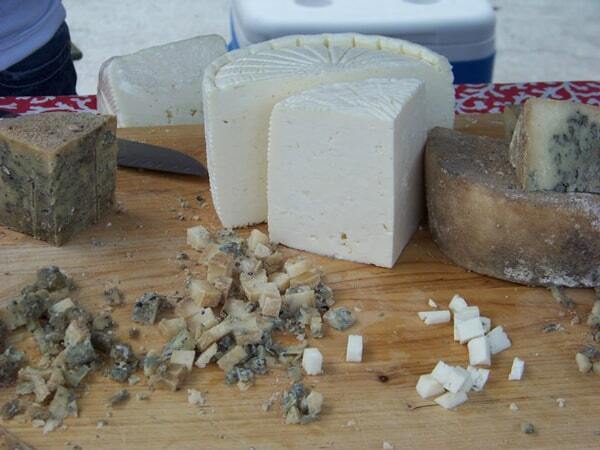 They provide the best quality organic raw cheese for our community. You can nominate your own local favorite business here at Intuit’s Love a Local Business. 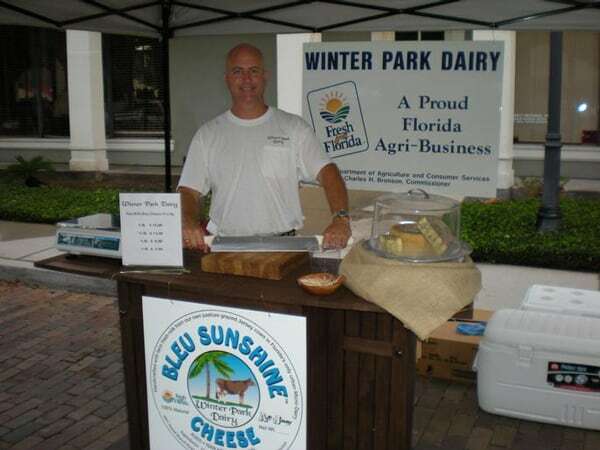 Or you can cast your vote for Winter Park Dairy using this link. Have fun being the voice of online entrepreneurs! Bonus: Why not go and nominate yourself for Intuit’s Love A Local Business competition, and then encourage your readers to vote for you. Intuit is helping small businesses achieve their dreams by awarding $25,000 each month to a local business! Note – votes are like raffle tickets – the more votes a business has the more chances they have to win. It’s been very exciting starting my own business, so I’m curious to know: What dream business would you love to start? By replying you will be entered to win an iPad 2!